Henry R. Kravis began his career as vice president of Katy Industries, a New York Stock Exchange company, where he designed and implemented their acquisition program. He then joined Bear Stearns & Co, became a partner and remained there until 1976, when he and two partners founded Kohlberg Kravis Roberts & Co. (KKR), a firm that pioneered the development of private equity. Mr. Kravis has been involved in the largest and most successful acquisitions via private equity. These include RJR Nabisco, Beatrice, Safeway, Duracell, Owens-Illinois, Autozone, TXU, First Data, Toys R Us and Dollar General, among others. In total, his firm has completed over 165 transactions with a total acquisition price of approximately $422 billion. KKR has 11 offices in the United States, Europe, Asia, and Australia. Mr. Kravis has served or is serving on numerous corporate boards of directors, including RJR Nabisco, Safeway, Gillette, Borden, Owens-Illinois and Tarkett S.A. He is a board member of the Council on Foreign Relations. He founded and is co-chairman of the New York City Investment Fund, which was designed to create jobs and help small businesses in New York City. He is also on the board and was co-chairman of the Partnership for New York City, which represents the business community in its dealings with the public sector. Mr. Kravis also serves on the Board of Trustees of Mount Sinai Hospital; Public Television Channel 13/WNET New York, for which he served as chairman of the board; Columbia Graduate School of Business, where he serves as co-chairman of the Board; Rockefeller University, where he serves as vice chairman; and Claremont McKenna College, where he founded the Kravis Leadership Institute and has served as its chairman. 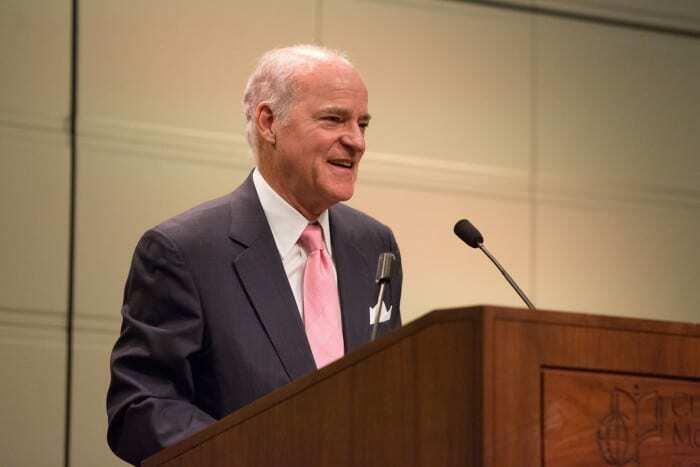 In 2006, he established the Henry R. Kravis Prize in Nonprofit Leadership, which is awarded annually to an individual or organization that demonstrates leadership, creativity, and sustainability in the nonprofit sector. Mr. Kravis earned a B.A. in economics from Claremont McKenna College, California, and a M.B.A. from the Columbia University Graduate School of Business, New York.